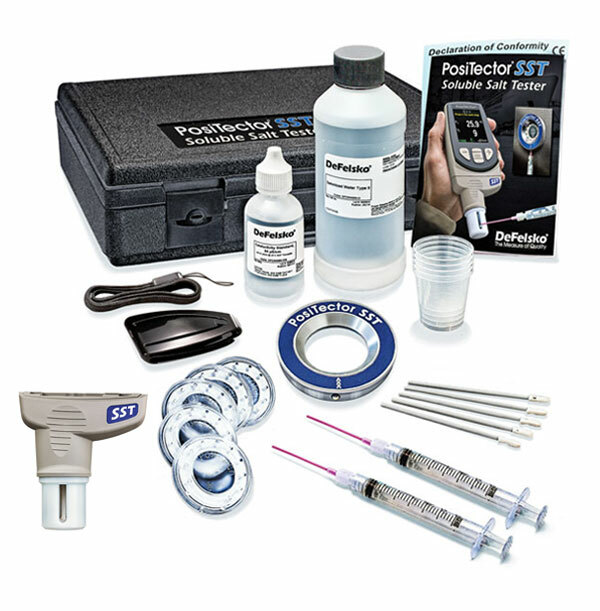 The PosiTector SST Soluble Salt Tester is a salt contamination gauge that measures the concentration of soluble salts on metal surfaces in accordance with ISO 8502-6, 8502-9. 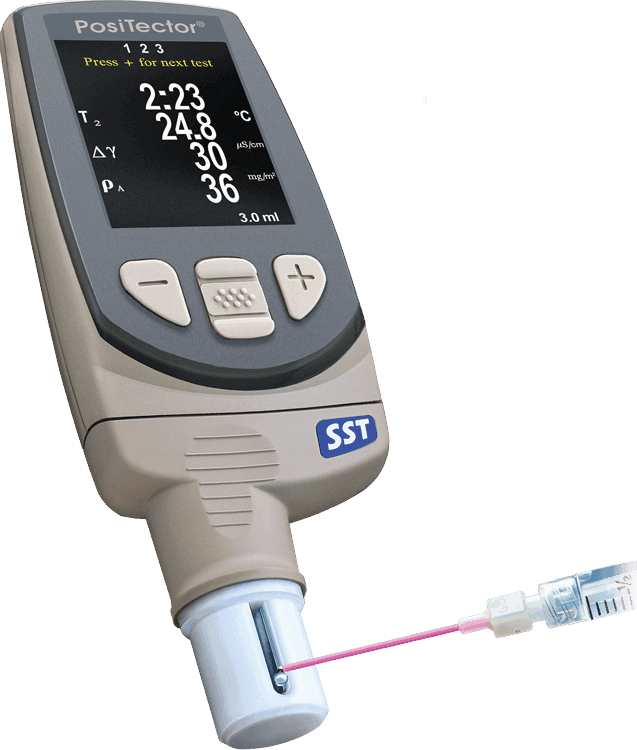 Features include an intuitive step-by-step interface that guides users through the Bresle method and automatic computation of surface density of salt. 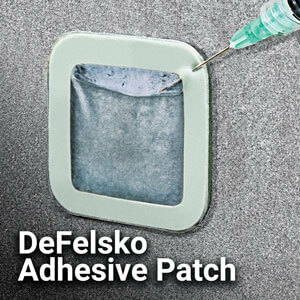 It is compatible with the Defelsko adhesive patch, latex adhesive patch and PosiPatch. 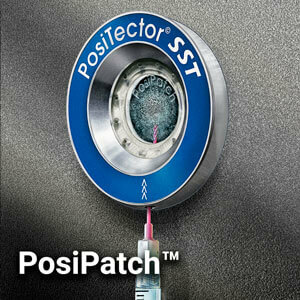 The innovative Posipatch is a non-adhesive resuable patch that adheres to steel surfaces using magnetic ring. 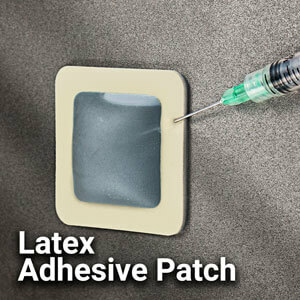 NO adhesive residue! 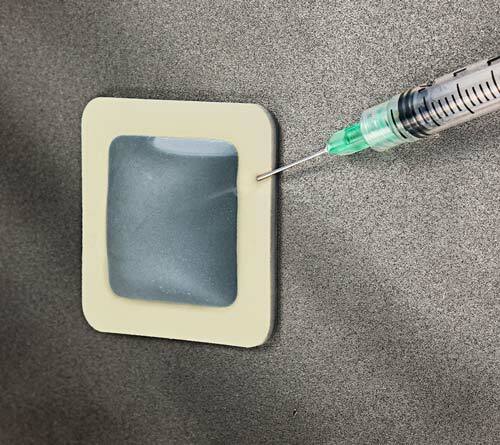 NO sharps, NO needles! 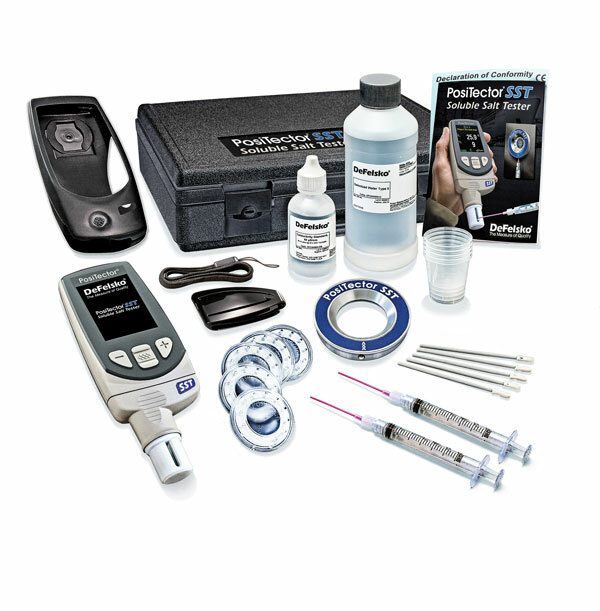 Includes the features of the standard gage, with storage of 100,000 readings in up to 100 batches. 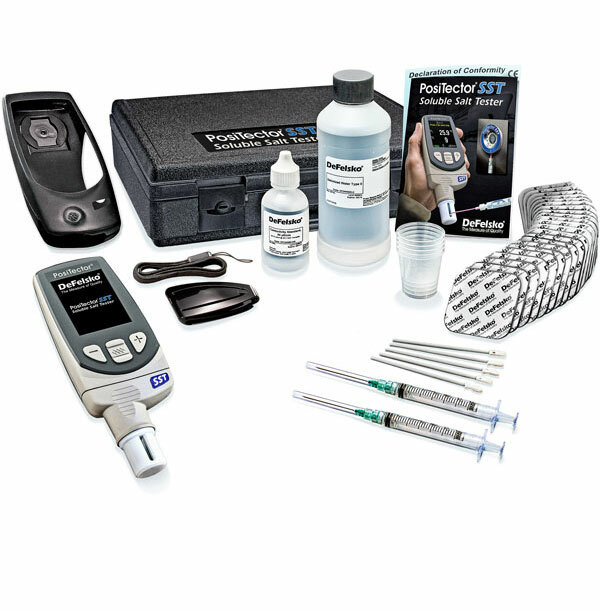 Includes WiFi, Bluetooth, and more. 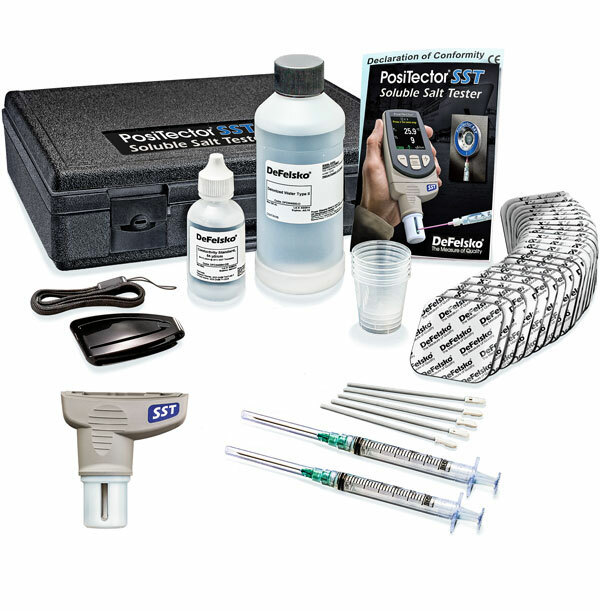 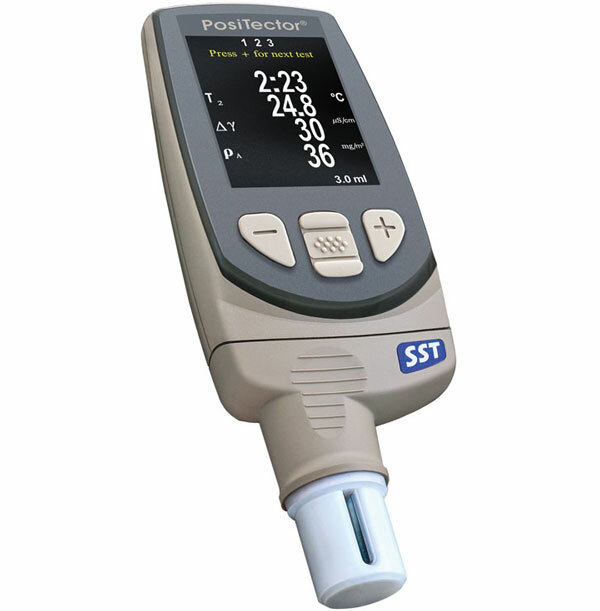 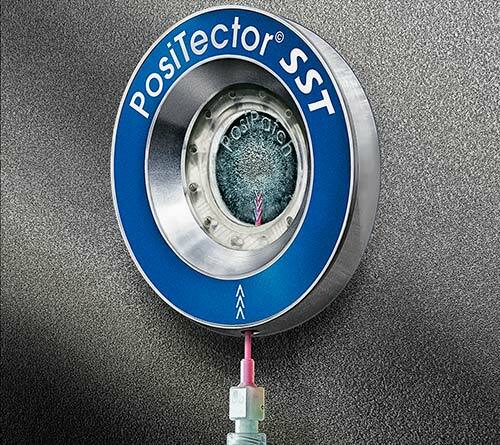 PosiTector SST Standard/Advanced Body + Probe models come complete with: protective rubber holster, certified conductivity standard, foam swabs (5), Long Form Certificate of Calibration traceable to NIST, belt clip, wrist strap, 3 AAA alkaline batteries, instructions, protective lens shield, USB cable, PosiSoft Software, two (2) year warranty. 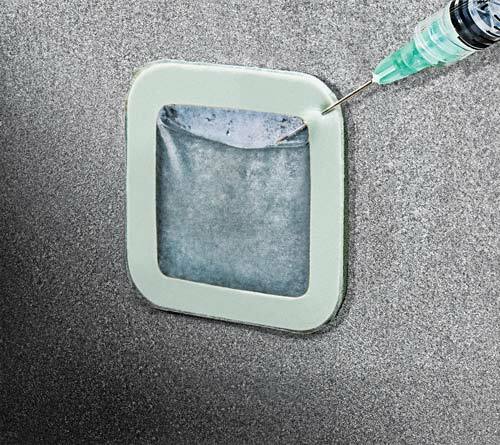 * Substitute the Flexible Magnetic Ring for smaller ID/OD diameters by adding ‘F’ to the product code (i.e. 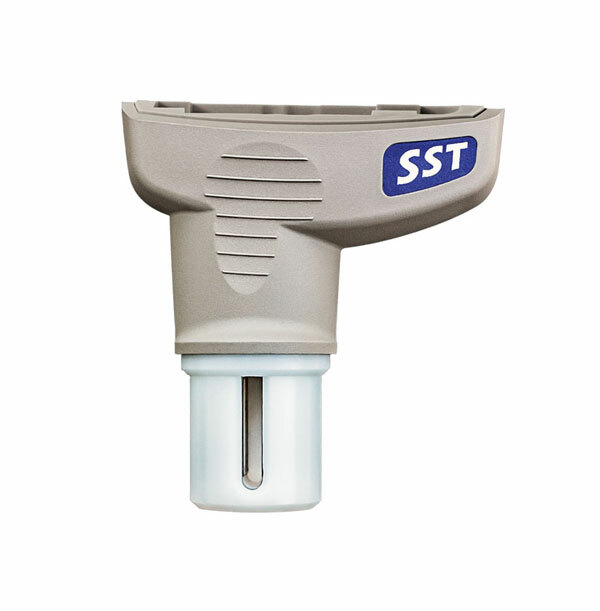 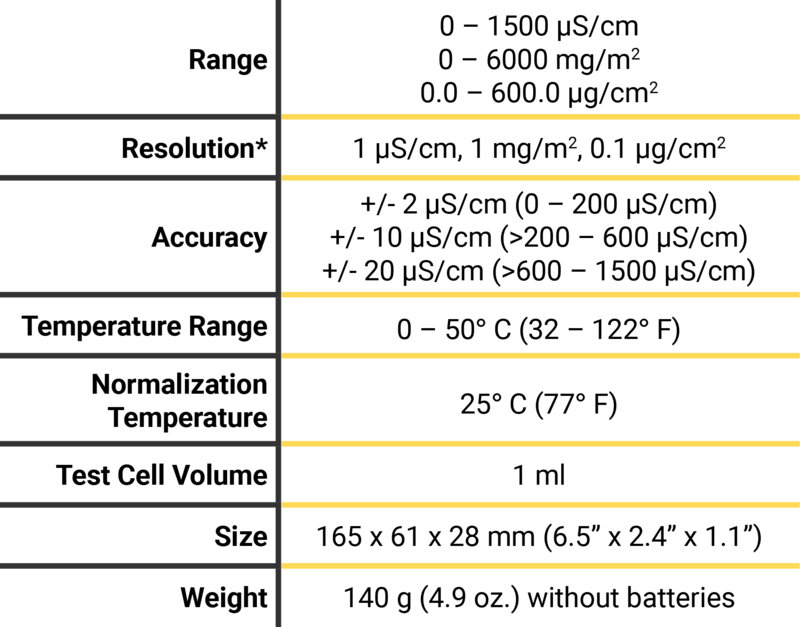 SSTKITPF, SSTKITPF1, SSTKITPF3).